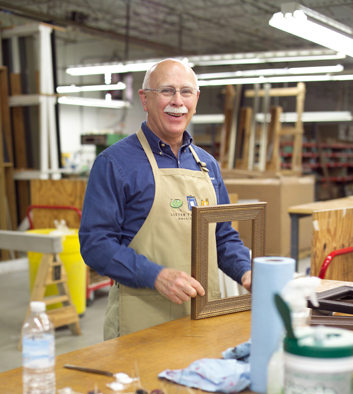 Picture Framing Blog - A Good Frame of Mind: Ask Mike: What Size Border Should I Use On My Mat? Ask Mike: What Size Border Should I Use On My Mat? This is a common question we receive at American Frame. 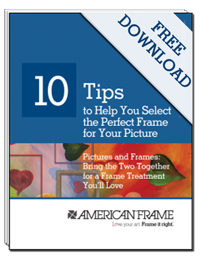 Many of our customers are new to DIY picture framing and border sizing is one of the variables in the framing process. Border sizing has no set rules as to the size the borders should be in relation to the size of the window opening or frame size. It has more to do with aesthetics and economics. Aesthetics: If the borders of the mat are too narrow or too wide, the appearance of the framed art may be adversely affected. Economics: The larger the mat borders, the larger the mat and frame will be. This will add to the overall cost of the project. The default border is set on our website at 2” on all 4 sides but this can be adjusted in the design process. Remember, these are just suggested border sizes. As DIY framer, you are free to experiment and determine what is best for your project. When you are trying to determine your mat border size, remember that the lip of most frames will cover ¼” of your mat on each side of the frame. You may want to consider adding ¼” to the selected mat border size to account for this. *United Inches (UI) is a common measurement used in the framing industry for determining cost of frames, mats, glazing, etc. I think you know that better than me. But I can help you to find uc essay prompts. If you need that.